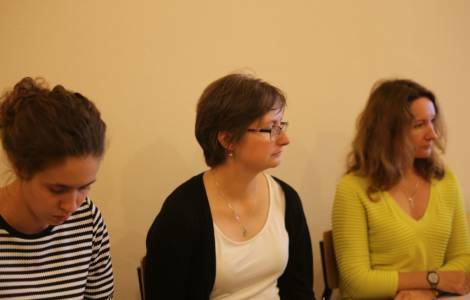 Częstochowa (Agenzia Fides) - "The magnet that attracts young people towards a missionary group is the opportunity to do something good for another person, especially for a person of the same age, in missionary countries. However, action must be accompanied by adequate spiritual preparation". This is what Father Janusz Talik, Diocesan Director of the Pontifical Mission Societies (PMS) of the Polish Diocese of Bielsko-Zywiec said, who brought his testimony to the meeting of the diocesan directors of the PMS of Poland and representatives of the Polish religious institutes and missionary organizations, which gathered a hundred people on September 12 and 13 at the diocesan Seminary in Częstochowa. "The theme of the missionary animation and youth missionary formation in Poland was the subject of the meeting", said Mgr. Tomasz Atlas, National Director of the PMS, to Agenzia Fides, which invited participants to engage in a joint research of ways to involve young people in missions. The two great world events that are being prepared in which young people will be protagonists are: the Synod of Bishops on the topic "Youth, faith and vocational discernment", to be celebrated in October 2018, and World Youth Day in Panama in January 2019. The President of the Episcopal Commission for Missions, His Exc. Mgr. Jerzy Mazur, recalled initiatives for youth, and raised several problems, including the main focus of how to reach young people with a missionary message and how to animate, with missionary spirit, the pastoral care of university students. Father Emil Parafiniuk, the head of the National Youth Ministry and director of the World Youth Day office, talked about youth missionary formation on the occasion of World Youth Day (WYD), and stressed the need for Polish youth to prepare for WYD in Panama through a missionary formation, because it will encounter a society awaiting the Gospel. The experience of the Missionary Volunteering of the Pontifical Society for the Propagation of the Faith was illustrated by Fr. Maciej Bedziński, National Secretary of the Pontifical Society for the Propagation of the Faith and St. Peter the Apostle, while Fr. Dawid Stelmach, Diocesan Director of PMS of the Archdiocese of Poznan, drew attention to the effectiveness of the direct testimony of missionaries and the immense opportunities offered by school encounters, to allow young people to be receptive to the mission. Marked by the Eucharistic celebration presided over by Mgr. Mazur and entrusted to the care of Our Lady of Częstochowa for the missionary activity of the Church in Poland by Mgr. Atlas, the meeting also saw the presentation of the annual activity programs of the four Pontifical Mission Societies and the various missionary bodies that refer to the Episcopal Commission for missions.